Action-camera company GoPro Inc. (Nasdaq: GPRO) released more information about its upcoming IPO on Wednesday, stating the company plans to raise up to $427.2 million in the deal. 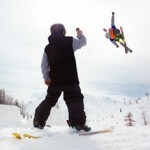 That would give GoPro a valuation of approximately $3 billion. In today's regulatory filing, the company said that an IPO price range of $21 to $24 per share has been set. Alibaba IPO Is "As Big As It Gets"
The clock is officially ticking on the GoDaddy IPO after the Internet company filed the prospectus for an initial public offering yesterday (Monday). While the company did not provide any specifics of the IPO date or IPO price, the filing did say that GoDaddy plans to raise up to $100 million in the IPO. 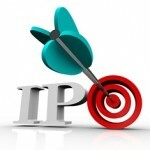 Following June's slow start, the IPO calendar is once again loaded this week with eight upcoming IPOs. This year has been the busiest for IPOs since the "Dot-Com" era of 1999 through 2001, with 117 companies already debuting year to date. And for investors, that's meant an abundance of investment opportunities as the average IPO has returned a 13.2% gain so far in 2014, according to Renaissance Capital. For investors looking to profit from the IPO market this week, here are the eight companies going public. This week's IPO calendar is headlined by the $1.6 billion initial public offering (IPO) of Chinese e-commerce company JD.com, which will be making its public debut on Thursday, May 22. JD.com is China's second largest e-retailer, and has been in the news lately because it is the biggest competitor to Alibaba Group Holding. 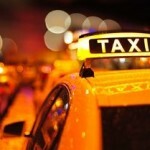 According to a Bloomberg report yesterday (Thursday), Uber is in talks to begin a new round of fundraising that would value the on-demand taxi booking company at more than $10 billion. The $10 billion valuation would be a dramatic increase from $3.5 billion it was valued at last summer. The Alibaba IPO was officially filed earlier this month, and analysts estimate that the deal could be the largest initial public offering in U.S. history. Bloomberg has estimated that the Hong-Kong based e-commerce firm could be valued as high as $168 billion, and will be selling a 12% stake in the company through the IPO. That means the company would raise $20.16 billion through its IPO. The Alibaba IPO is expected sometime in late 2014 and analysts are projecting that the deal will be the largest initial public offering since Facebook Inc.'s (Nasdaq: FB) $16 billion IPO in 2012. 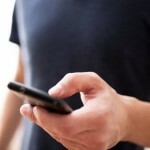 Some experts think it could surpass Facebook's IPO, which would make it the largest Internet IPO of all time. 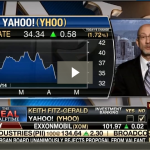 Money Morning's Chief Investment Strategist Keith Fitz-Gerald joined FOX Business' "Varney & Co." today (Monday) and discussed why the factors that are driving the Alibaba IPO price higher. 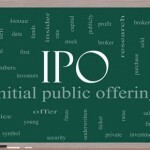 According to Renaissance Capital, 104 IPOs have already been priced in the U.S. in 2014, and this is another busy week on the IPO calendar as eight companies make their initial public offering. The biggest IPO this week is from the Chinese e-commerce company Jumei, which is looking to raise $195 million. But that's not the only opportunity for investors looking to play the IPO market this week. 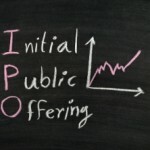 The Alibaba IPO has officially been filed as the company released the prospectus yesterday (Tuesday) for what is expected to be one of the largest U.S. IPOs of all time. 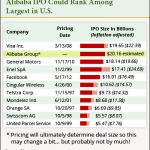 While the prospectus is more than 300 pages long, it still leaves many questions unanswered, including the Alibaba IPO price. The company is expected to release further information and addendums to the prospectus as the Alibaba IPO date approaches. It's another loaded week on the IPO calendar as nine companies make their public debuts. 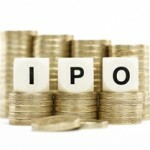 So far this year, 97 companies have held initial public offerings and a total of 142 companies have filed for an IPO. 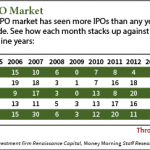 That makes 2014 the busiest year for IPOs since the "Dot-Com" era of 1999 through 2001. 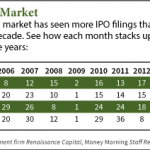 The 2014 IPO market has been busier than any year since the "Dot-Com" era of 1999 to 2001, with 94 companies holding an initial public offering through the month of April. For those unfamiliar with the inner workings of Wall Street firms, the IPO market and the IPO process can be complicated. Terms like "lock-up periods" and "offer prices" get tossed around frequently without any explanation. Fortunately, Money Morning's Capital Wave Strategist Shah Gilani is an industry veteran and former hedge-fund manager who's had a unique look inside the IPO process and IPO investing. Here's his explanation of what investors need to know today. According to Renaissance Capital, 94 companies have made their public debut so far in 2014, so this week's four initial public offerings constitute a slower week on the 2014 IPO calendar. While the healthcare sector has two IPOs, the biggest deal of the week takes place on Friday when the asset-management firm Ares Management LP (NYSE: ARES) begins trading on the New York Stock Exchange. With Facebook (Nasdaq: FB) stock now surging after its 2012 initial public offering disaster (investors have enjoyed a 140% return over the past nine months), excitement over upcoming social media IPOs is higher now more than ever. Of all the potential upcoming social media IPOs this year, two stand out - both are well-established and stable companies with overwhelming public popularity. The IPO calendar is slower this week than it has been for some time, but there are still four companies hitting the market for investors to choose from. This year has seen more companies hit the market than any in the past decade, and the healthcare industry has led the way. That trend continued this week as three of the four companies going public operate in the healthcare industry.